A site showcasing local fashion and fashion events in Spokane, WA. The Spokane/Coeur d'Alene area has a small but active and creative local fashion community that gets involved in many fashion events benefitting local and regional charities. Several fashion models such as Nicole Beach, Dani Lundquist, and Heather Hahn have been featured in national as well as international publications and there is no shortage of creative and artistic talent who seek to collaborate with one another. The area is also home to Nationally accredited Glen Dow Academy, a cosmetology school that has been in existence since 1969. Spokane's Top Model Competition at the Knitting Factory. Red Cross Fire On The Runway Show at the Spokane Convention Center. Spokane's Annual Alternative Fashion Show -- Runway Renegades at the Garland District. Fall Fashion Fling Spokane Club's Fall Fashion Runway Show at the Spokane Club. Beyond Pink Designer Bra Fashion Show at the Spokane Convention Center. Spokane Symphony's Annual Christmas Tree Elegance Fashion Runway Show at the Davenport Hotel. Strut Fashion Show at the Davenport Hotel. Divino Fashion Shows at the Lincoln Center. 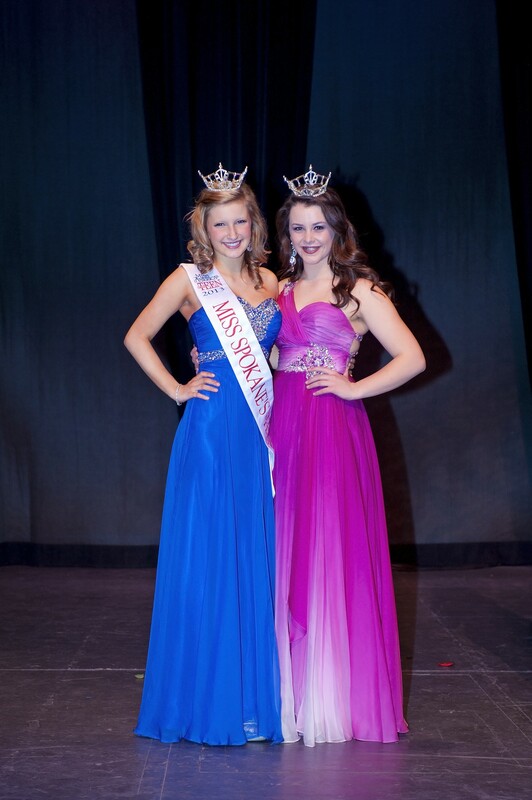 Miss Spokane Scholarship Competition at the Bing Crosby Theater. Glen Dow Fashion Shows at Glen Dow Academy.